Well Truebies, here we are already-Season Finale night. The fate of nearly every character is seemingly up in the air after last week's penultimate season 5 episode. Sookie, Jason and the fae concocted a plan to attack Russell before he had the chance to attack them. Unfortunately, it didn't go as planned. Jason played up his gullible, clueless nature and accidently on purpose led Russell and Steve right to the faerie club. The fae elder proved that she wasn't all that smart or tough when she left the faerie fortress to take on Russell and was eaten within minutes. Once he was full of fae blood, Russell could see into the mystical fae fortress and was prepared to launch himself on them. Meanwhile Jessica tries to rationalize with Bill but realized he drunk waaaaay too much of the Kool Aid and tried to manipulate him. She told him that she wants to give the greatest gift of all and turn Jason into a vampire. Bill sees right through her escape plan and then actually orders her to leave the compound and turn Jason within 24 hours. He even sent guards with her to make sure the job was done. Jason was a busy man last week as he concocted a plan with Jess to fool the guards into thinking she'd turned him. When Jess jumped in the grave with a dead looking Jason, the guards went to bury them and Jason sprung up and shot them. Jess then ran to Fangtasia where Pam was reluctant to help her until Jess offered up information on Eric's whereabouts. Pam then agreed to hide Jess while worrying that the Authority would come to punish Tara for murdering their Sheriff. Sure enough, Rosalyn, who was revealed to be the Sheriff's maker showed up to arrest the murderer who she sniffed out to be Tara. However, Pam confessed either because she felt compassion for Tara or because she hoped to get closer to Eric. Rosalyn also discovered Jessica and shipped her right back to her daddy to be punished for running off. Bill was furious at Jessica for not following his orders and slapped her literally across the room for her defiance. Unfortunately, Pam won't find Eric at The Authority as he and Nora escaped. Eric finally got Nora to believe that humans aren't merely food and the two are trying to plan an assault on The Authority. Elsewhere in The Authority compound Luna and Sam searched for Emma. They found other shifters being held captive and were ultimately discovered by Authority henchmen. Sam sacrificed himself to Russell in what is seemingly an attempt to get close to him and in turn, Emma. Back at Merlotte's, Andy had his fans full when Mari the faerie showed up and told him he was the father of her baby. Andy tried to deny it but then Mari started going on and on about how Andy entered into a "light pact," and was bound to care for her and their fae offspring. Andy tried to explain that he involved with Holly but Mari doesn't care and alluded to some kind of vengeance for Andy's failure to comply. See what I mean? Faeries are bad news! Over in Missippi, Alcide tried to convince his father to stop drinking and gambling his life away. 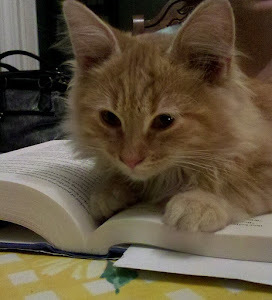 A neighbor warned the Herveaux's about wayward, unsupervised baby vamps creating havoc throughout the area. Alcide is ready to go out and look for them but Jackson isn't interested. However, it seemed Alcide's lectures sunk in as when the baby vamps showed up, Jackson leapt in to fight. So, what do you think will happen tonight? Will be rescued from The Authority's mind control before it's too late? And after tonight, what the heck are we going to do until next Summer?!! 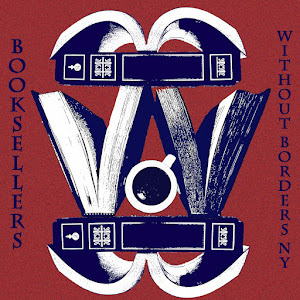 In addition to books, we also sold a lot of music at Borders. It was my job to set up the new music displays each week and often the current popular music baffled me. 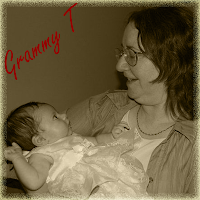 Other than Lady GaGa, I can't think of a current artist who I really enjoy. I decided to find out what the BWOBNY crew likes to listen to and we'd love to hear from you as well. Alan rocks out to the legendary Queen and AC/DC. Albert enjoys the band NOFX, which he calls "a classic." 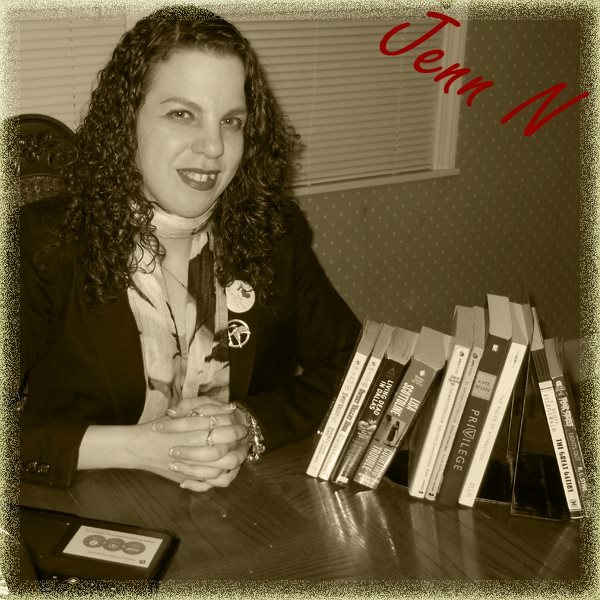 Jennifer P. kicks it up to Gaelic Storm, Nightwish, and Christina Perri. 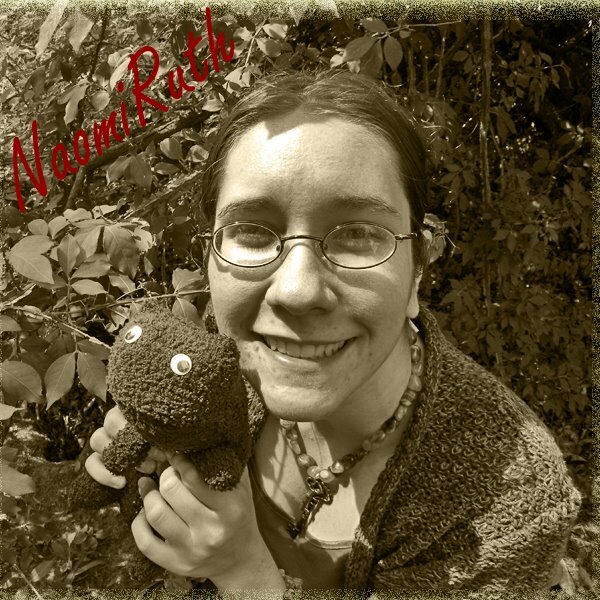 Naomi likes to mix it up with Switchfoot, We Were Promised Jetpacks, and Of Monsters and Men but her favorites change depending on her mood. 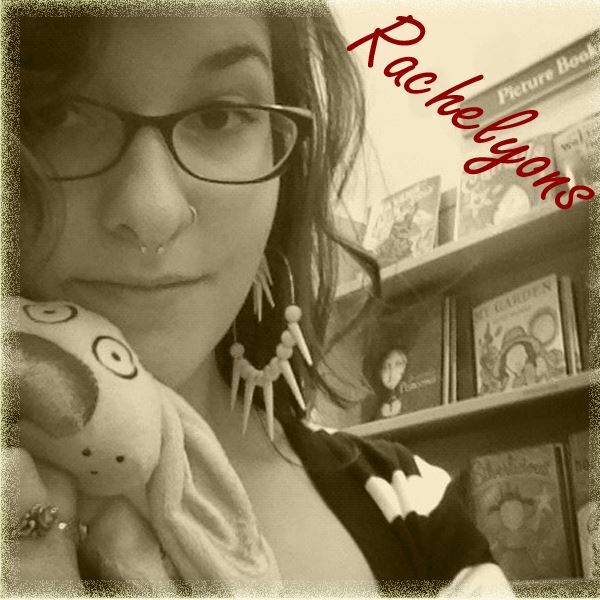 Rachel, who often brought her favorite mix-tapes (CDs) to play in the store has many favorites including: Bright Eyes, Pickwick, The Black Keys, M. Ward, My Morning Jacket, Coheed and Cambria, Feist, Fleet Foxes, The Dear Hunter, and Kimbra. Rebecca meanwhile taps her foot to the sounds of Christian rock band Mercy Me. I'm obsessed with 80's bands especially Duran Duran, The Go-Go's and Berlin. I also love British rocker Robbie Williams. What tunes are you guys interested in? Please share with us! 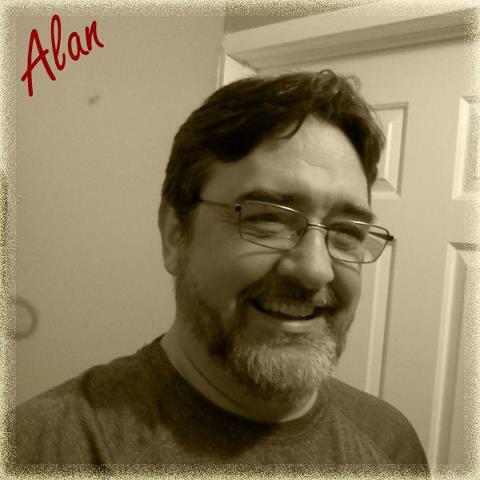 Labels: Alan Andrews, Albert, group post, Jenn N., jennifer p., music, NaomiRuth, rachelyons, Rebecca T.
Good Evening everyone! I'm sorry for the delay but without further adieu, here is your Laydown Lowdown for the week of August 21, 2012. It's another week of broken hearts for Romance fans as there are no releases in the genre today. 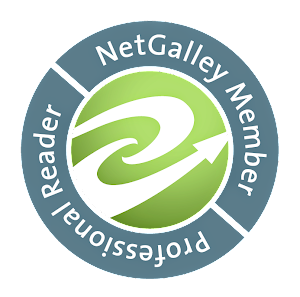 Move on to Mystery though, you'll find "Not My Blood," by Barbara Cleverly, "Simple," by Kathleen George, and "The Survivor," by Gregg Hurwitz. Step on over to Sci/Fi/Fantasy and you'll see "Hidden Things," by Doyce Testerman and "Wards of Faeries," by Terry Brooks. Yield to the Young Adult section and you'll discover "The Rise of Nine," the latest in Pittacus Lore's "I Am Number Four," series as well as "The Raft," by S.A. Bodeen and "The Sweetest Spell," by Suzanne Selfors. Happy Reading and remember to support your local bookstores whenever possible. This, btw, is a lame excuse for a post since I am actually working or driving all day Tuesday and don't know how much I'll be on line after that. But I know you forgive me anyway. At least I hope so. 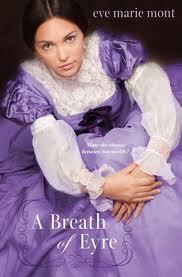 First off I've got A Breath of Eyre by Eve Marie Mont. This was on the new shelf at my local library and I simply cannot resist any book that is related to Jane Eyre, which is one of my top 10 favorite books of all time. I'm about a quarter of the way through this one already and I'm really curious to see how it plays out. 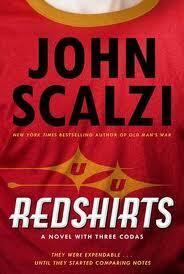 Then I have Redshirts by John Scalzi. I've never read anything by him, but a premise that plays with the longest running gag in sci-fi history? As a Trekkie girl I felt I had no choice but to check this one out. 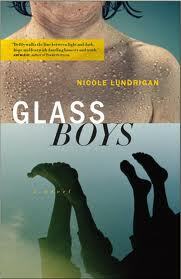 Next up is Glass Boys by Nicole Lundrigan. We got an ARC of this book when we were asked to take part in a blog hop for the release in September so check back for my review of this one. Shatter Me by Tahereh Mafi is going in the bag. I've already read it twice, but it's our book club book for the month, so Grammy T and I want to refresh our memory so we can add to the conversation. Another book I've already read a good chunk of is Frozen by Mary Casanova. We got to meet her at BEA and she was super nice and explained how she stumbled across a local story that sparked the idea for the novel. Another one I'm itching to finish to see how everything comes together. 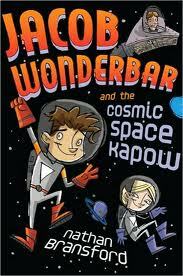 As I was poking around my bookshelf I came across Jacob Wonderbar and the Cosmic Space Kapow by Nathan Bransford. 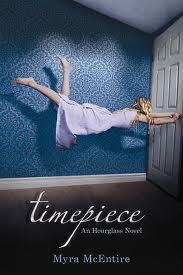 I can't believe I STILL haven't read this one! So that's coming along too. And then I've got the series books that I bought, but haven't yet read and it's driving me crazy so I've got Spellbound by Rachel Hawkins, Timepiece by Myra McEntire, and Surrender by Elana Johnson. Phew. I think that'll be enough to keep me busy. Oh! 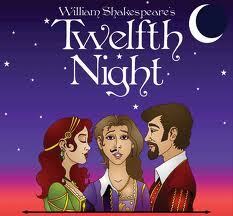 And don't forget that I've got to reread Shakespeare's Twelfth Night to brush up on for this coming semester. So what are you reading on vacation? Anything I should add to my pile? All of the recommendations from the YA blog hop have been fantastic and a bunch of those are going on my TBR list for sure! 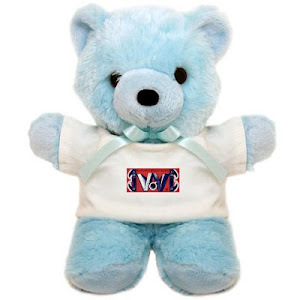 You're probably wondering who won our giveaway, aren't you?! Well, I suppose we could tell you now. And if you didn't win we still want to thank you for stopping by and letting us know what you have been reading and liking us on Facebook and stuff. And we still have our Wee Free Men giveaway going on so if you are looking for another good read you could hop yourself over HERE to enter that one! Hello fellow truebies! We're down to the final four "Neubie the Truebie" posts here are Season 5 winds down to a close. Last week's episode, "Everybody Wants to Rule the World," (take a moment to sing the Tears for Fears classic in your head) was action packed. If you don't want spoilers than don't read any further! Luna made a remarkable recovery and insisted she accompany Sam while he assists Andy find the shifter sniper. Andy is determined to do things more traditionally and orders Sam and Luna to stay out of it. Sam then teaches Luna one of his old trick and they turn into flies on the wall so they can overhear how the investigation is progressing. As Andy and Jason view the video the hate group posted online, they realize that the apparent leader is wearing cowboy boots-specifically, cowboy boots that Andy remembers Bud Dearborn receiving as a retirement present. The boys then head over to pay a visit to the former Sheriff. Meanwhile, Sookie went to Bud Dearborn's house to see what he remembered about the night he discovered her parent's dead bodies. While she was there, she felt uneasy and couldn't help but hear Bud's thoughts. She learned that he told her everything he knew about her parents but that he was hiding something major and dangerous. Just when she is getting ready to leave, she was knocked unconscious by Bud's mistress. Over at The Authority Headquarters, Eric ploted with Molly to escape and take Bill and Nora with them. Eric finally got a moment to talk to Bill alone and it seems Bill wasn't really faking he is torn between The Authority's teachings and his mainstreaming values. Eric encourages him to bust out with him and then think about things; Bill agreed. However, this being True Blood, life or the afterlife is never that simple. Eric, Molly, and a drugged Nora are waiting by the elevator and have just moments to leave The Authority compound before they'll be caught. They're waiting for Bill only when he finally showed up, he apparently has become a traitor and brought Salome and the other Authority members with him to bust Eric and Molly. Eric didn't even try to fight it, he just surrendered to the silvering at the episode's close. Sookie awoke in a literal pig pen and found Hoyt, unconconcious and lying nearby. A short time later, Bud and his mistress arrive and his mistress finally identifies herself as Sweetie Des Arts. In "Dead as a Doornail," Sweetie is not only Merlotte's latest cook, she is also the shifter sniper. So, it was great to see a major plot point from the books match this otherwise book inconsistent season. Sweetie then told Sookie of her master plan, her group wants shifters and supes of all kinds to be eliminated. She plans of feeding Sookie and Hoyt to the pigs and film it for the hate groups website. Fortunately for Sookie, Sam and Luna had shifted into pigs and shifted back to human form to fight Sweetie and Bud at the same time that Jason and Andy showed up. Luna savagely attacks Sweetie before she is carted off by the Bon Temps Police Department and Luna and Sam enjoy a moment of happiness that the worst is over. (Unfortunately, their happiness will be really short-lived). Alcide, after losing out on the pack master position and being abjured headed to Jackson to visit his father. His father is a much bigger mess than depicted in the books. He lives in a beat-up trailer and uses his disability checks to fuel his gambling addiction. In the books, Alcide's father Jackson Herveaux had overcome his gambling addiction by this point and was campaigning to be pack master himself. On the show, he seems to have no such aspirations as he told Alcide he is better off without the pack and that they are two of a kind. Elsewhere, Alcide's former pack held a pack meeting. Luna's former mother in law is there with Emma in pup form. Russell took Steve to the meeting and told him all about his loves of weres. Steve commented that he never had a pet and Russell replied that was a shame and you can pretty much guess what happened next. Yup, Russell snatched poor little Emma away from her grandmother and gave his new love Steve his very first pet. Finally, over in Shreveport Pam and Tara are busy working and making snarky comments to each other when Pam spies a skeezy vampire who looked like some gothed out vampire-wannabe sitting in her chair, feeding on a human. Pam approaches the vampire and he informed her that he is now the Sheriff of Area 5 and that the monarchs have lifted the ban on feeding off humans in public. Pam tries to object and the greasy vamps kicks her across the club while ordering the other vamps to grab a human and drink up. Only 3 episodes left in this season!! What do you guys think? What should we do about my man Bill? I suspect that the blood of Lilith isn't vampire blood at all. A friend told me she suspected it's faerie blood but I am leaning toward Elf blood at the moment. In Charlaine Harris' short story, "Two Blondes," Pam's drink is spiked with elf blood which affects vampires they way a very strong drink would. What are your thoughts? Sorry for the delay with this post, storms in the area knocked out my internet again! Unfortunately the summer is winding down but there is still plenty of time to hit the beach and savor a good book. When most people think of beach reads, they traditionally picture an epic romance or a guilty pleasure read. I polled the BWOBNY crew to see what books they tote with them. 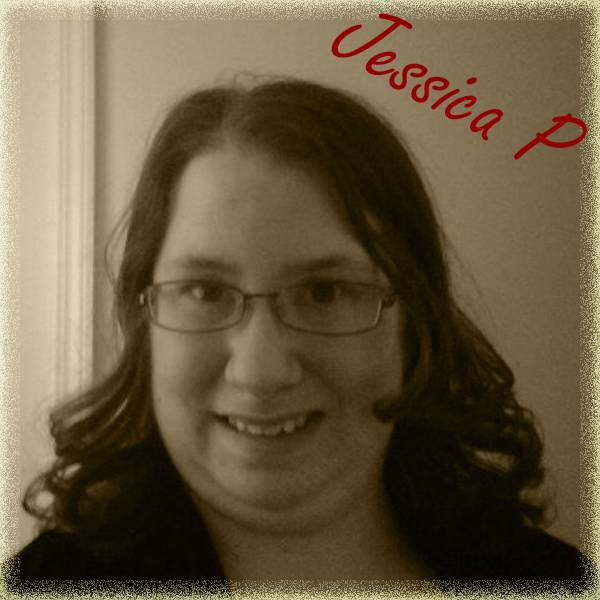 Jess P. loves to pack fluffy reads such as the "Shopaholic' series by Sophie Kinsella or anything by chic-lit author Emily Giffin. Naomi likes to bring a mix of fluff and substance to the Outer Banks, she enjoys filling her beach bag with middle-grade fantasy books and Bertrand Russel's philosophical works. Rachel just got back from the beautiful beaches at Long Beach Island, where I'll be headed very soon and she read the middle-grade book, "Out of My Mind," by Sharon Draper and "11/22/63" by Stephen King. However she also took "The Fault in Our Stars," by John Green with her but felt it was "too depressing" for the beach. 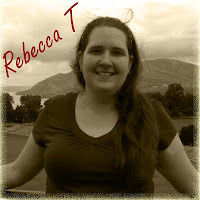 Rebecca normally loads up her beach bag with fluffy reads from the YA or middle-grade section but this past summer she found herself bringing along a lot of high fantasy novels. As for me, I like to bring something light and fun but is lengthy which requires a little more time to read than I normally have. This year, I'm bringing "A Discovery of Witches," by Deborah Harkness. I also always bring one Baby-Sitters Club book with me too. I pick between any one of the books where the girls visit Sea City: "Boy Crazy Stacey," "Mary-Ann and Too Many Boys," or "Sea City, Here We Come." I'm leaning towards the Mary Ann book this year. What about you guys? What books are filing up your beach bags?